Ever since I started playing it a few months ago, I have been a champion for Paladins. 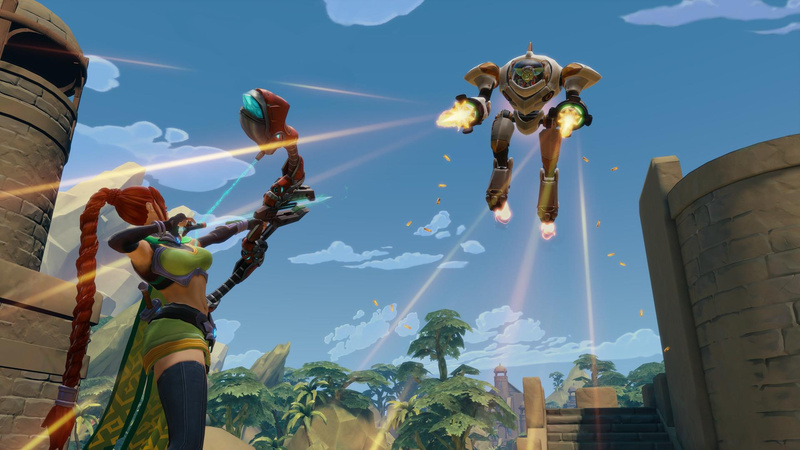 While the hero shooter space is dominated by one big player who I will try to avoid using by name in this piece, its presence doesn’t invalidate the fun to be had in the alternative created by Hi-Rez Studios. Yet on numerous occasions, I’ve seen and heard from players that they won’t touch Paladins with a 10-foot pole because they’re either fans of “the other game” and don’t want to let go, or they dismiss it for not being the “other game”. That other game is fantastic. In fact, nowadays, I play it more than this one. Ultimately, you’re allowed to play or not play whatever you like. However, I think it’s unfair how overlooked Paladins is relative to what it has to offer. Because of that, I was inspired to make this list of five reasons why you should check out Paladins! Jason Makes His Paladins Debut! Jason is an avid Overwatch fan, but he steps out of his comfort zone to try out Paladins with my brother Randy and I! Besides teaching Jason the ropes, we talk about some of the games Jason is selling on eBay, the Apple Conference that took place today, Nintendo Direct predictions, and an appearance in the chat from Extra Life Toronto! Brothers of the Realm! Jett and Randy Play Paladins! Randy and I reunite in the world of Paladins for the first time since the Dragon’s Call update! We play one game of that before going back to the standard modes. During the show, we discuss Paladins vs. Overwatch, how Dragon’s Call is busted, the sad state of Pocket Rumble, why Jett doesn’t play PC games, and more! Also, their parents make a cameo appearance off-camera as they try and coordinate a family lunch outing! A few weeks ago, my friend Jascha and I were went on a multi-hour Overwatch binge. New to the game, Jascha bounced around from one character to the next, hoping to find a character to invest in. At first, he struggled mightily with high-learning curve characters like McCree and Widowmaker. 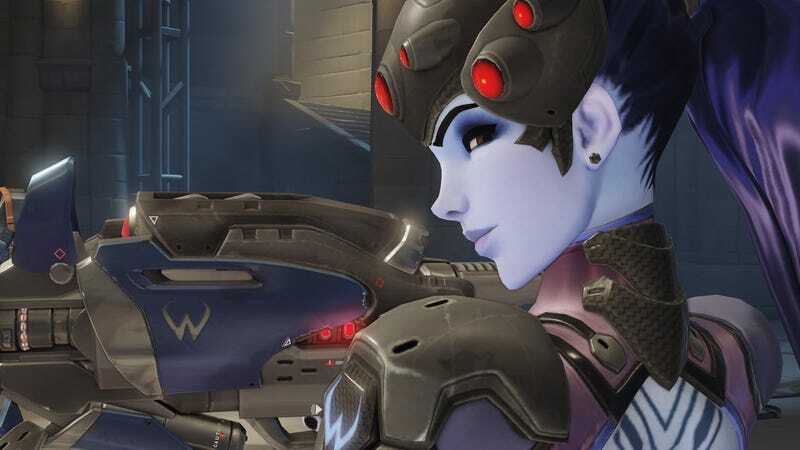 Then he moved onto Symmetra and Tracer, where he started to show some positive gains. Despite his initial success with those characters, he stubbornly went back to McCree and Widowmaker, failing now just as he did before. Piquing my interest with this curious decision, I asked him why he went away from characters that were working for him. While I don’t remember his exact response, it was clear to me that it was going to take more than being good for him to stick with a character. 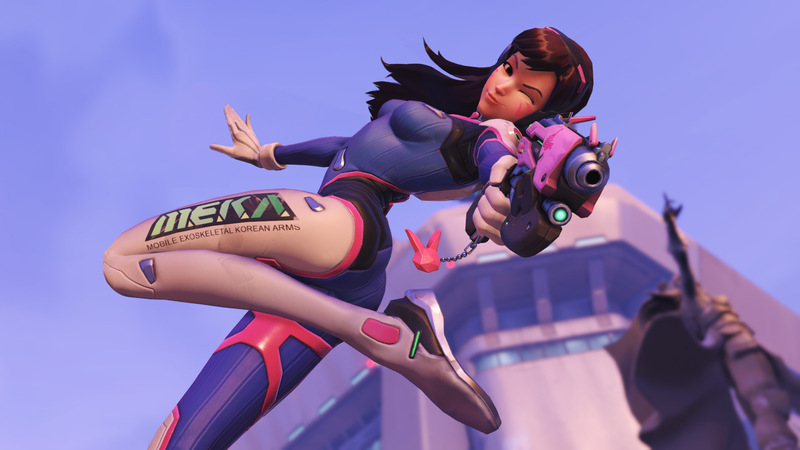 Not long after the game’s launch in 2016, I bought Overwatch out of curiosity. It was the biggest game in the world at that point and I wanted to see what the hype was about. As much as I enjoyed it back then, it quickly fell out of my rotation, as I was still investing most of my competitive gaming time into Street Fighter V, and just starting to ramp up my obsession with Pokemon Go. Despite my own pressure and poking from myself and others to get back into it, the game collected dust on my shelf. Inspired by the recent release of Paladins on the Nintendo Switch, I’ve found myself falling in love with the hero shooter genre as a whole in a big way. Take Advantage of the Paladins Crystal Sale Before August 30th! For the past few weeks, I’ve been slumming it out as a free-to-play player in Paladins. That said, I did have plans of eventually buying the Champions Pack to unlock all heroes now and forever in one shot. I know I’m late to the party, but crystals are currently on sale! It’s your chance to buy that Champions Pack, Season Pass, or whatever DLC you had in mind at a discounted price. With the deal and my Nintendo eShop coins, I was able to get 2,500 crystals for $30 CAD, which would have normally costed me about $45. I’m not too concerned about cosmetics, but getting the Champions Pack gives me access to what I want most: all of the characters! With almost 40 characters in the game, that works out to under $1 each, which is a great value while showing the developer my support for this solid game! Impromptu Paladins session where we talk a lot about the game itself, Overwatch, eSports broadcasts, and more! Last week, Hi-Rez Studios ran a promo where all Paladins champions were free-to-play for a limited time. In this video, I try my hand in as many unique characters as I could!